Our safety apparel can be custom printed with your company’s logo. Vests, t-shirts and jackets can all be customized to your company. We can create the logo for you, or you can forward a logo you have. 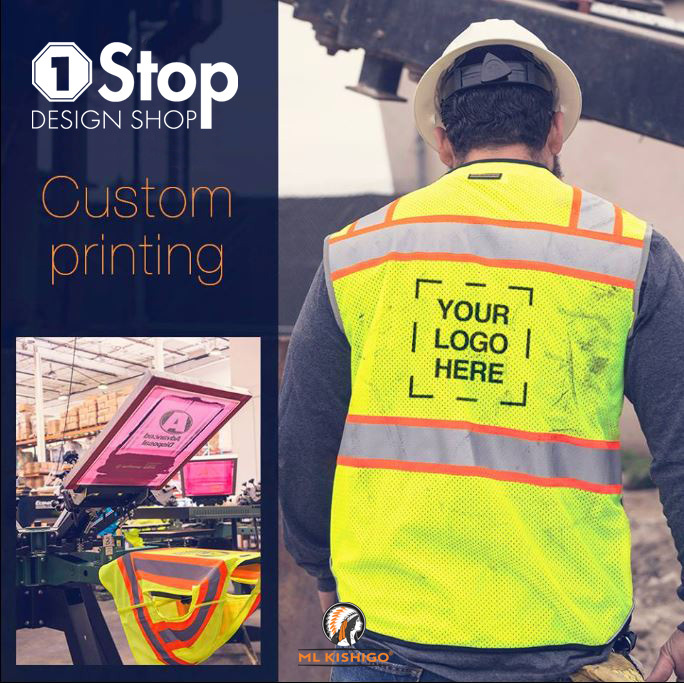 Contact us at 781-938-3866 or visit our website at www.1stopdesign.com for more information on our line of custom printed safety clothing.